The stunning panoramic views over Old York from the top of Clifford's Tower, make it the ideal starting point for any visit to the city. There's plenty to discover at this imposing tower standing proud on its high mound. It is almost all that remains of York Castle built by William the Conqueror, and has served as a prison and a royal mint in its time. Enjoy unrivalled views of York Minster and the city of York, with its medieval churches and buildings. In the distance you can see as far as the North York Moors. 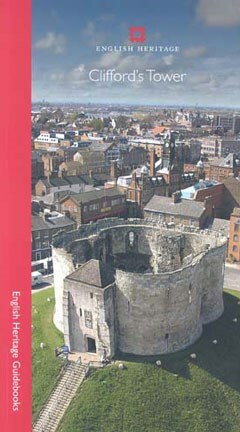 William the Conqueror builds two motte-and-bailey castles in York, one of them where Clifford's Tower now stands. Both castles are burnt by Danish invaders, supported by the people of York. William rebuilds the castles and as punishment lays waste to wide areas of northern England. The York Jewish community take refuge in the tower from a mob. Unable to escape, they commit mass suicide, and the wooden tower is set on fire. Survivors are killed. The present stone tower is built, to an unusual four-lobed design. After the northern Pilgrimage of Grace against Henry VIII, the rebel leader Robert Aske is hanged in chains, allegedly from the tower walls. The tower's keeper begins to dismantle it to sell its materials. The aldermen of York stop him. Royalists garrison the tower in defence of York during the Civil War siege. An explosion, possibly sabotage, destroys the interior and ends the tower’s military use. Much of York Castle's stonework is replaced, leaving little surviving from the medieval era apart from Clifford's Tower. A prison encompasses the whole castle area. A high wall is built round the base of the mound. The prison walls are demolished. Clifford's Tower again becomes visible and is opened to the public.